I’m a big time addict of home cooked food, coz you know whats going inside your body, you can add or skip what you like and add/reduce spice level based on your taste. 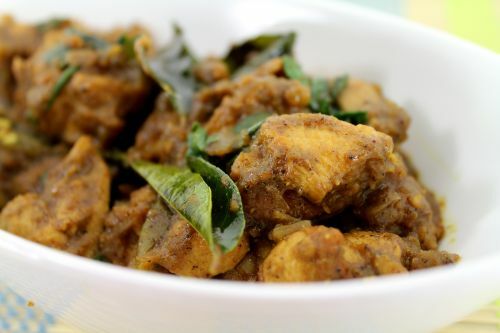 When you are lazy but still feel like eating home made tasty chicken, here’s a treat for your taste buds, Kongunadu Kozhi Varuval. If you are lazy even to fry the given items, grind it as is and still it would be good. Coconut and poppy seed makes it a bit sweet, so I added more red chili to make it even more spicier. Clean and keep the chicken ready. Chop onion and coriander leaves. 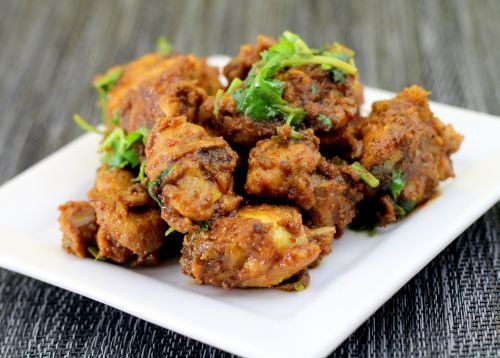 In a pan, dry fry the items "To fry and grind" in the given order and grind it to fine paste. In another pan heat oil, add onion and fry it until it turns translucent. Add turmeric, chicken and salt. Mix and cook for few secs until Chicken turns white. 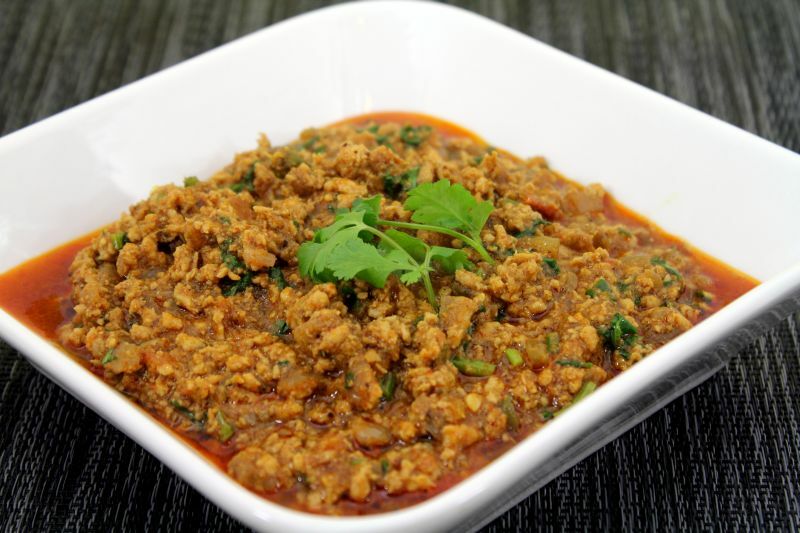 Add the ground paste, water and fry in medium flame until chicken is cooked, oil separates and the gravy turns dry. 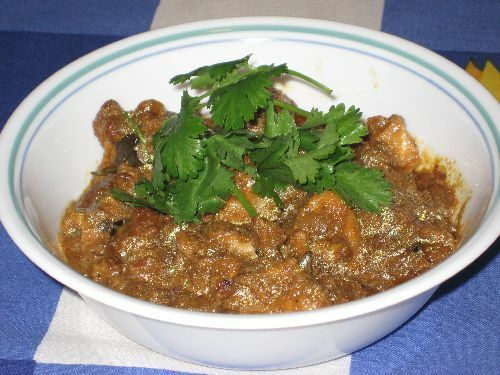 Add the curry leaves and coriander leaves and mix for few sec. Add tomato - 1 or 2 while grinding. Add ginger garlic paste - 1½ tbsp. Add cut pieces of coconut bite size chunks. 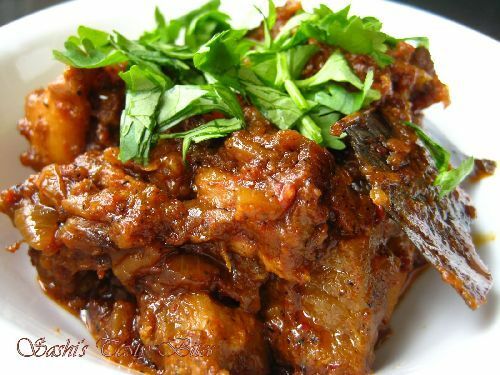 Enjoy with white rice or chapatti. Thank you! it was so delicious I love it. 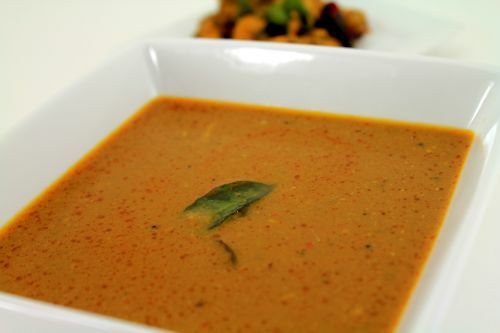 I just tried out your recipe and served with chicken rasam. thank you so much. it just tastes AWESOME. waiting to try out the rest of your recipes too. I tried this receipe . The taste is awesome. wow!!!! 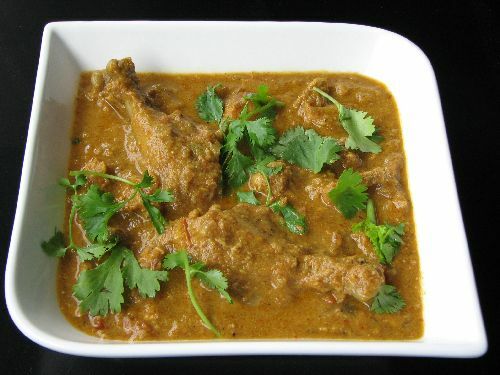 recipe s grt…it comes out well!! thanks sashi:) keep posting.. I tried your recipe today. It came out well. Thank you. 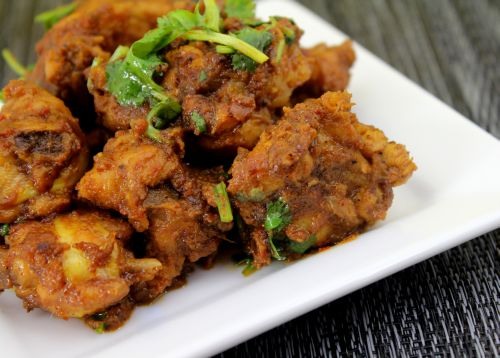 Flavourful,inviting and irresistible chicken fry.